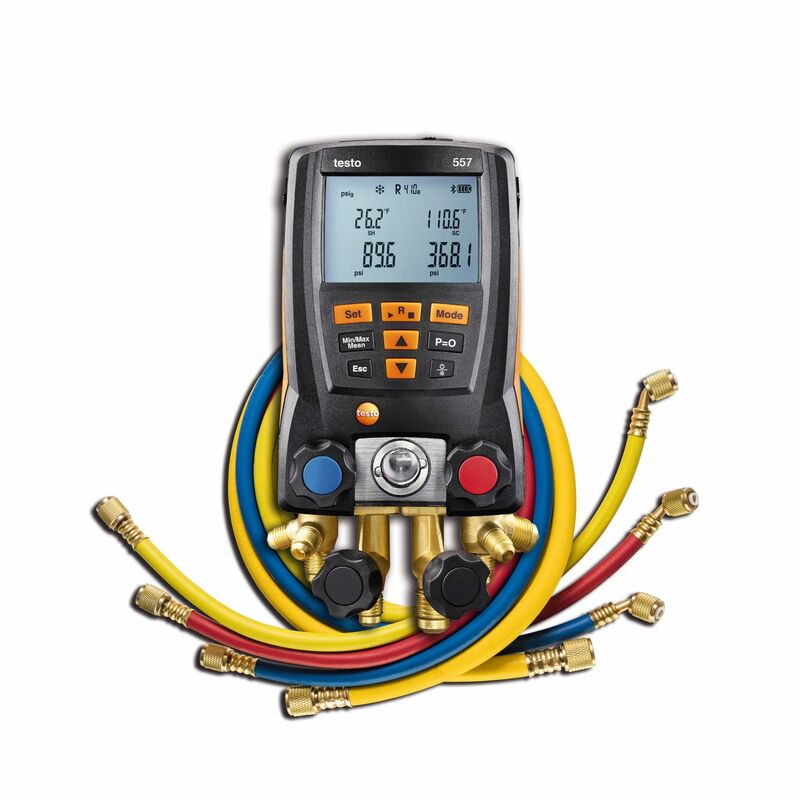 The complete kit for work on air conditioning and refrigeration systems, as well as on heat pumps: the testo 557 digital manifold, including a set of 4 hoses! This kit enables you to get down to work straight away! The testo 557 digital manifold fulfils numerous functions in just one instrument: including superheating/subcooling calculation, vacuum measurement and temperature-compensated leakage test. You can also use the powerful testo Refrigeration App to monitor the manifold via your smartphone/tablet and to store the measurement results or send them by e-mail as a complete report. 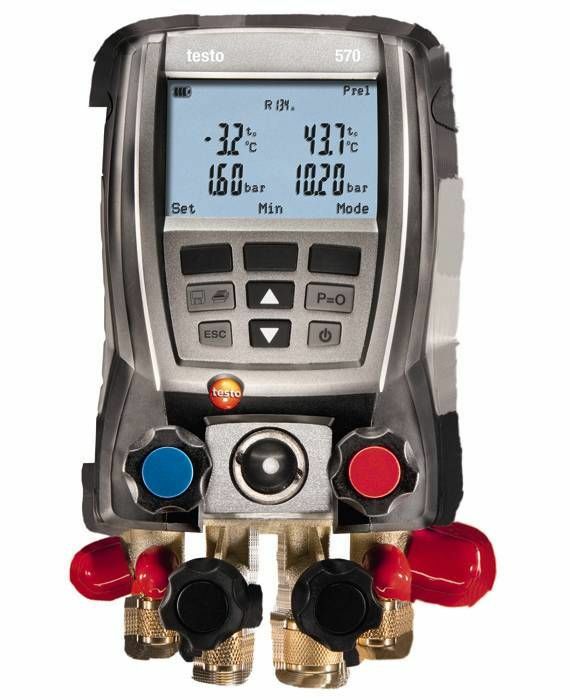 The testo 557 4-valve digital manifold with 3/8 in. and 1/4 in. vacuum ports comes with a remote vacuum probe for faster and more reliable evacuations, Bluetooth, app connectivity, two clamp temperature probes for instantaneous superheat / subcooling readings, and a convenient service case. 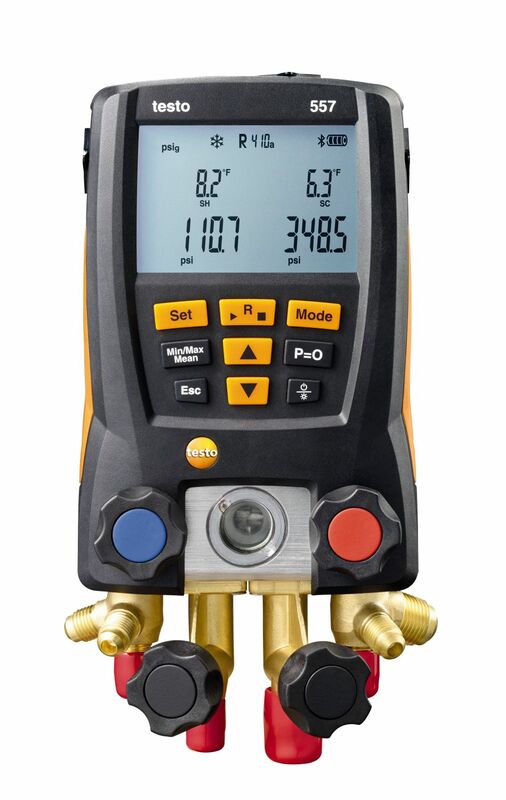 The testo 570 4-valve digital manifold has an internal vacuum sensor, data logging and printing capabilities, and an additional third probe port for either ambient temperature, current, or oil pressure probes.